This is a great compressor. Its very subtle and made really well. Thought I would share. "The man who says he knows everything will never know the truth"
I didn't care for it when I tried it, much happier with the (also very well made) BBE Orange Squash (aka Main Squeeze) and, recently, the Barber Tone Press. I am hoping its sound isn't indicative of optical compression pedals in general, as I am interested in trying the Diamond but if the Diamond is anything like that one, I'll pass. I suppose it is possible that it came from the factory poorly calibrated, but I found it to sound good only when used subtly, maybe across 1/3 of its range on the compressor knob. Past that, really bad pop-in as the compression increases, at least as bad as an early '90s Dyna-Comp. The Orange Squash, perhaps due to a slower attack, perhaps due to some other factor(s) is a more useful compressor for bringing out subtleties AND for getting some real compression going on, in my opinion. And the Tone Press makes it sound worse by comparison, in a manner of speaking (it's still a great comp and I'm not throwing mine out by any means, I just can't believe how good the Tone Press sounds and how well the relatively simple solution of having a phase-corrected blend knob between the compressed and a clean signal works for eliminating the annoying pop of other classic VCA comps). When u say main squeeze,don't u mean the digitech x-series comp? I just bought an ex-demo model today for 32 quid! Best comp i've ever used(in stomp form) Dbx compression(sister firm to digitech) have added its 'overeasy' comp to it. No stepping in the comp,just amazing sustain. Too much,and u get a little noise,like at the end of day in the life,by the beatles,where the pianos hit that massive chord together,and they push the faders up as the pianos die out,till on early pressings of pepper,u can hear the air conditioning humming! I tried one once and was not impressed at all, but that was with guitar and I have heard that it sounds really good on bass from someone who also wasn't impressed with it on guitar either. I like BBE's build quality. Thanks for posting! The Main Squeeze and Bass Squeeze from Digitech are digital signal processors, not an analog effect circuit. I think all their x-series are DSPs. Its a nice pedal and all and i would use it but i have always found the optical compressor no matter which one i try to be a bit slugish as in not very responsive. So attack speed and stuff seems to be almost non existent. Although some bass players love them so i guess its a matter of personal choice i am about to try a jfet one similar set up to the 1176 compressor not the same but same basic idea. I just believe that gives that elusive punch that a lot of bass players want and require. For that unique punchy sort of sound. But iam always open to any comment or suggestions any one has in regard to fully achieving that and what experience they have had. Quickly spotted that R11 and D1 were reversed (so a diode in the place of the resistor and vice versa)........ replaced and wham, compression! The pad resistor R20 looks like 1K brown-red-black-black... Am I wrong? Duckman wrote: The pad resistor R20 looks like 1K brown-red-black-black... Am I wrong? I'm looking for an updated schematic of the newer BBE Opto Stomp. This model is still yellow, has a moustache graphic under the "O', does not have a switch, and the knobs are labeled Output and Threshold. I believe this might have started around 2009, since I have a manual with that model pictured dated 2009. I am having a similar problem, it sounds OK, but nothing changes at all when I rotate the Threshold knob. The output knob changes the gain, and it does sound slightly compressed, but at this point, it works more like a gain boost. I have replaced the VACTEC optoisolator and IC2 (TL072) with no success and feel there is some component loaded in the wrong place. When looking at the older schematic, there are several resistors that aren't on the old schematic and one resistor is in series between IC2b - input and an important diode, D3. Plus on the posted schematic R15 is listed as 221R, what does that mean? Is it supposed to be 22K? The PC board is two sided and it's a pain to unsolder an IC since the old solder joints tend to drip through to the other side and are hard to desolder. Plus the PC traces are flimsy. They lift right off the board with a good solder sucker. I'm tempted to rework the newer one to be like the old schematic with the fixes mentioned in previous posts. I don't care if it's new or old as long as I can get some compression control. The only external difference seems to be the pad and switch. Thanks for any help you can offer, but the newer schematic would be great. I would like to build the Opto Stomp for my Harp pedalboard. One think I do not understand in the schematic. I have found the diode part of Vactrol (1 piece) however I have found 2 resistor parts of the vactrol. 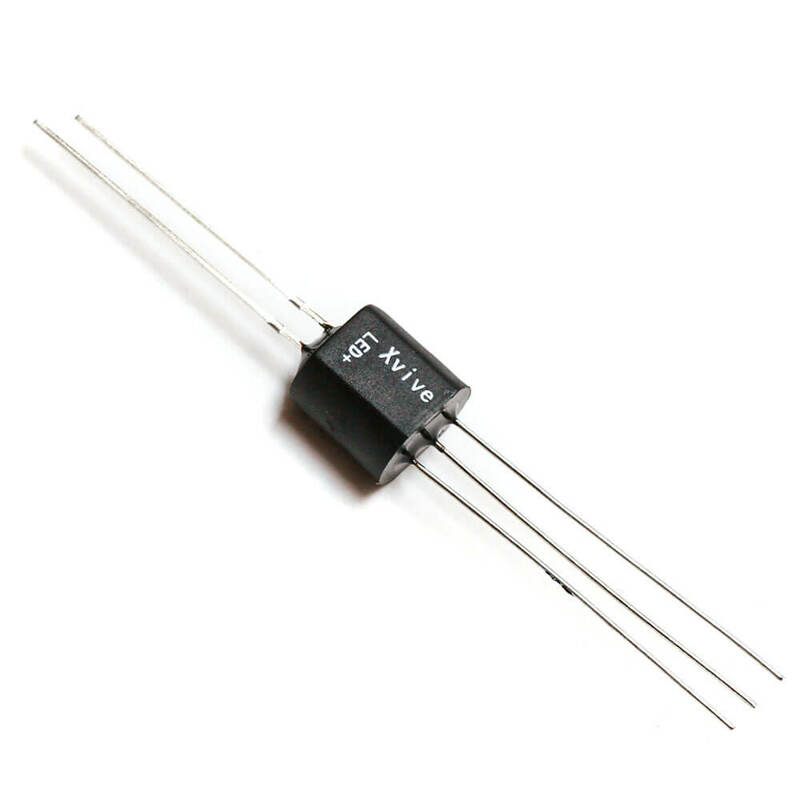 Where is the diode part of the second vactrol? macsaif wrote: I have found the diode part of Vactrol (1 piece) however I have found 2 resistor parts of the vactrol. Where is the diode part of the second vactrol? This pedal uses 5-legged vactrol, 2 legs for LED, 3 legs for two LDR connected together.